I’m crazy about polka dots – they make everything so fun. I’ve got a gazillion polka-dotted tops, but wanted to sport a pair of polka-dotted pants. I found a couple pairs I liked, but was not crazy about the price. 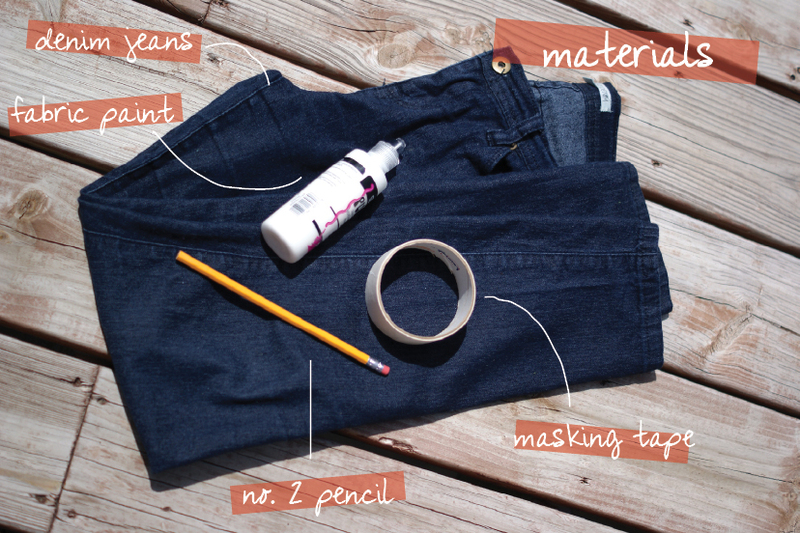 Instead of breaking the bank, I grabbed a pair of old jeans, some white fabric paint and a no. 2 pencil (with the eraser still in tact), masking tape and got to work. 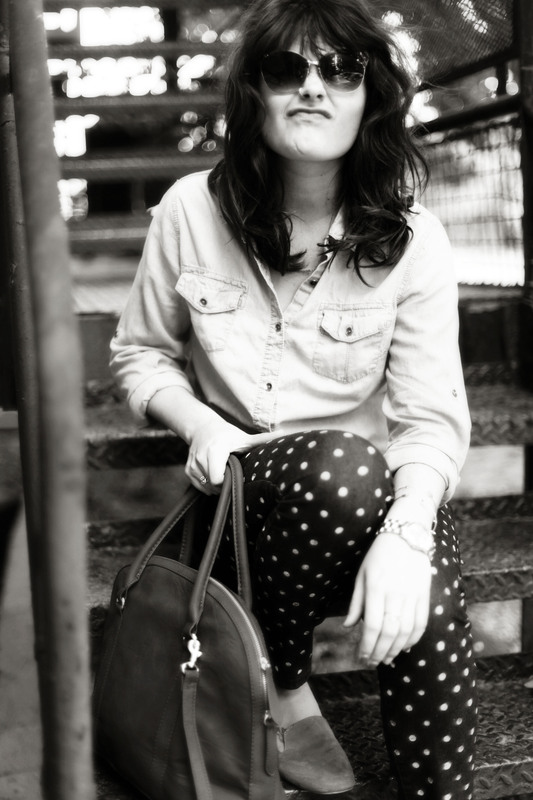 There really is no certain way to polka dot denim. I just sort of eyeballed a section mid-thy and taped masking tape as a straight line guide. 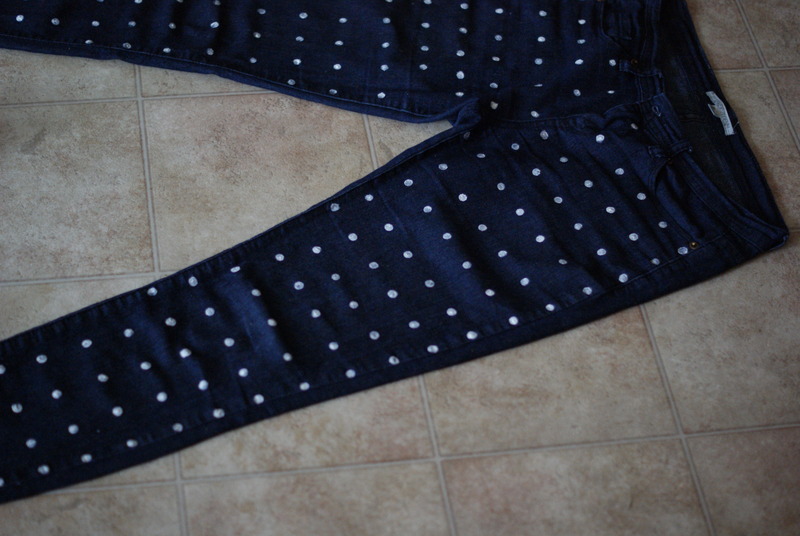 To make the dots on the denim, I dipped the pencil eraser in the paint, and pressed onto the jeans. I worked both up and down from the masking tape, spacing the dots out about one and a half inches apart using a measuring tape as my ruler. 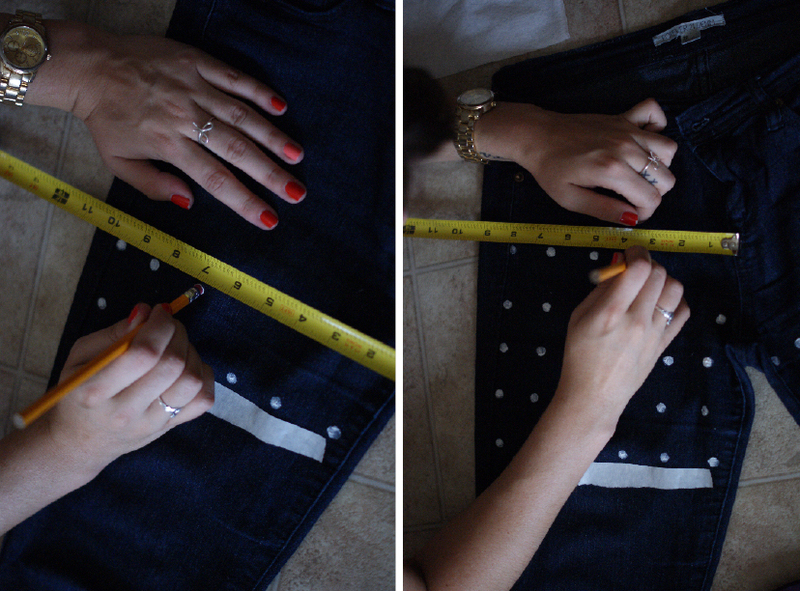 Do this for both the front and back of the jeans. After both legs were dry, I went back, free-hand, to fill in dots in-between the spaces, so they didn’t look so geometric.